SG.103 3d Rose Pl8 GC Very fine used with CDS. Home / Featured Stamps / Select GB Stamps / SG.103 3d Rose, Pl8, GC, Very fine used with CDS. 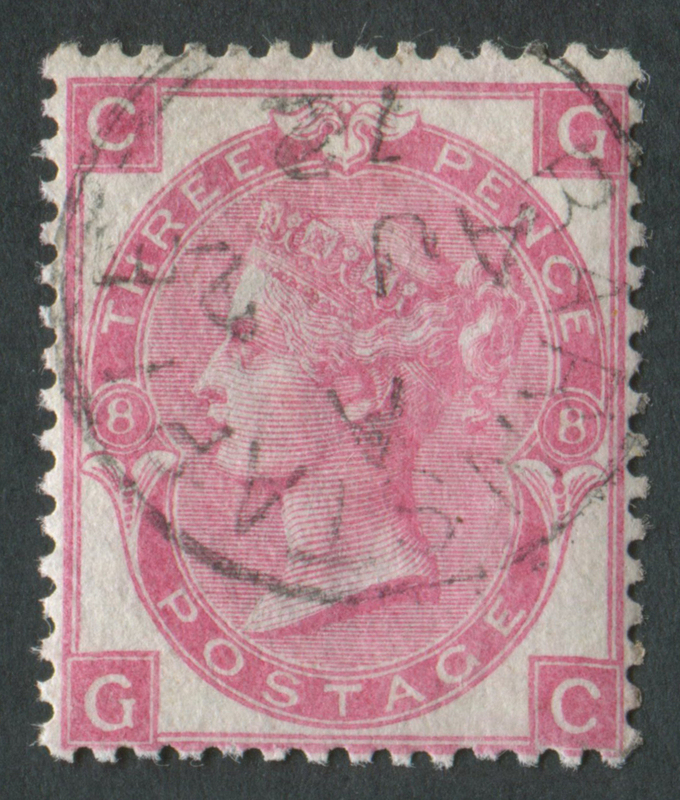 SG.103 3d Rose, Pl8, GC, Very fine used with CDS. Condition is as scanned, images of reverse upon request. Why not take this opportunity to stock up on catalogues, albums and accessories? Our full range of products can be viewed by visiting the Dauwalders eBay shop. Because the shape, size and weight of our products vary, shipping costs to overseas countries, UK Highlands and Islands and Northern Ireland can also vary. If you live overseas, in the UK Highlands and Islands or in Northern Ireland, Please contact us for a shipping quote before making a purchase. We prefer PayPal and also accept bankers drafts and postal orders (in ? Great Britain pounds sterling only). We do not accept money orders from overseas.